Our sandwich obsession has led us to believe that meals just taste better in the form of a sandwich. Case in point: Marc Forgione’s best-selling Chili Lobster. Now, don’t get us wrong, we could devour this exceptionally rich dish day and night, but when we got word that Forgione was making it into a sandwich, the game changed. Huge chunks of lobster (knuckle, claw and tail) hand-picked each and every morning off the coast of Maine are mixed with scallions, red hot chiles, mint and celery. A massive portion is then stuffed between two slices of ciabatta with the option of Crucolo cheese, then pressed so all goodness melts together into one happy, gooey sandwich. 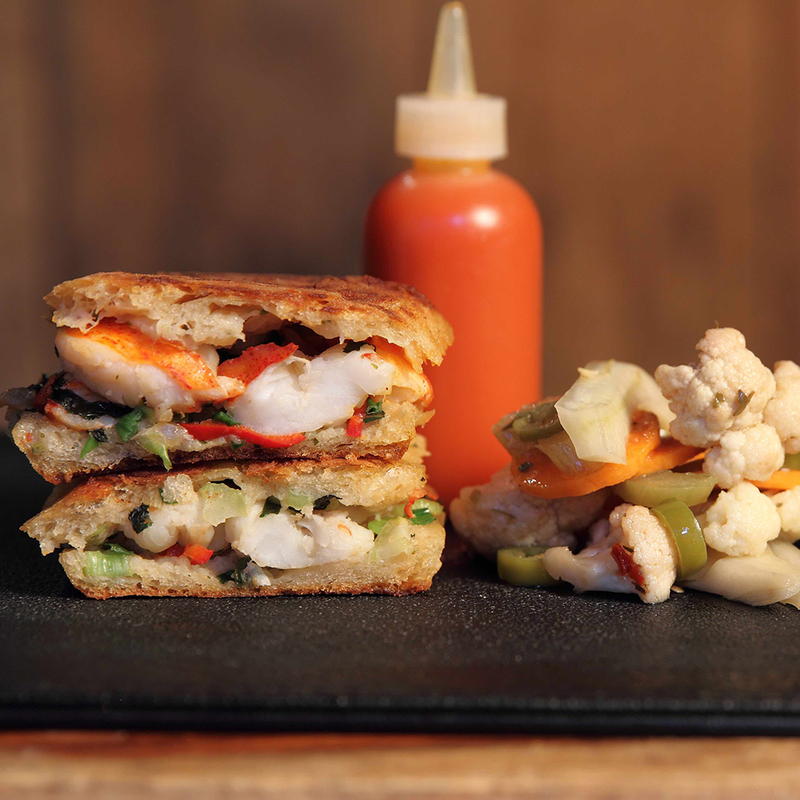 Served with a side of lobster dipping sauce made with lobster stock, sriracha and lime juice, you can make it a meal with a side of pickled veggies and Kettle Chips all for $21 (or opt for a half sandwich without sides for $9). The new sandwich won’t be available at his flagship restaurant. Forgione has opened a casual restaurant in Penn Station’s new high-end food court, The Pennsy. Also on the menu will be a coconut lobster bisque, a grilled cheese with a side of the buttery lobster sauce, a chili lobster salad with arugula and vegetables, as well as a special sandwich of the day named The Chance, created by and named after Forgione’s sous chef, Chance Perkins, known for his love of sandwiches. The opening special sandwich will be a house-cured corned beef with Jarlesberg, sauerkraut and Russian dressing pressed between two slices of rye. All of these can be washed down with fresh-pressed juices, seasonal iced teas and lemonades, as well as Maine Root Sodas.